Riiiiipppp. The dreaded sound we all hear when opening our electricity bills. It’s not so much about what's in the envelope that we dread, it’s more worry about how high the number at the bottom of the electricity bill will be. Not to mention trying to decipher the electricity bill can feel like you need a masters degree. We all use energy. From keeping our houses cool or warm, cooking and preserving our food, cleaning our clothes and to keeping our lights on. It’s something we use without a second thought. But when bill time comes, it's then that we reflect…did I use the air conditioner too much? Could I have hung the washing on the line instead of using the dryer? Most of us don’t like the thought of changing our habits or wheeling and dealing with power companies to save on our electricity bills. But here's the thing - everytime you open an electricity bill, you don’t have to go through the rollercoaster of emotions that usually comes with it. There is an easier way to keep track and manage your electricity bills, and it’s called Reposit. More than a home energy monitor, a Reposit Box is an entire home energy management system. So why not let a Reposit Power home energy management system do all the hard thinking and saving for you? 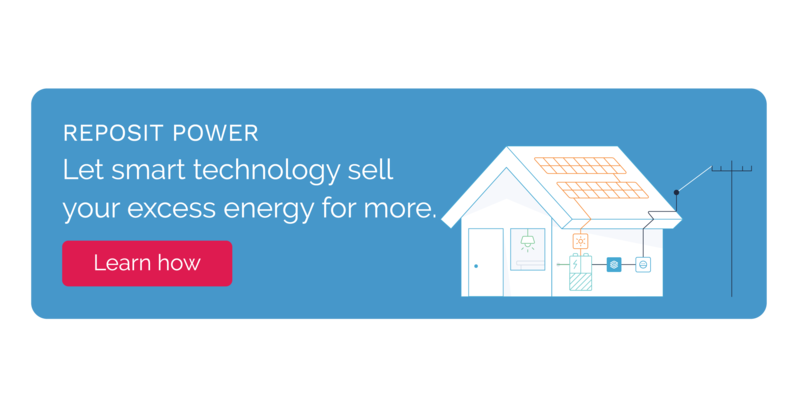 The Reposit Box home energy management system learns when and how your household uses electricity – and haggles with the electricity companies to sell any excess energy in your battery for the highest possible price. It means you can stop worrying about how to save electricity at home. Once installed, Reposit starts to learn how and when your household uses energy. Household usage - this is the total energy used by your house and includes energy from the grid, solar and your battery (if you have one). Using all of this information we can predict when you are likely to use energy and when your solar panels and solar battery are producing or storing energy. But Reposit Power does more than just monitor your home energy usage – it manages your home energy usage and works out how to save energy when it matters most. In fact, Reposit Power can automatically switch on your power-hungry appliances - like your dishwasher, washing machine or even your pool pump - when your solar panels are generating excess energy to make sure you’re getting the best value from your solar and battery setup. When your solar panels are generating more electricity than your household is using, this is spare ‘cheap’ energy. For solar owners, this means if you’re not home to use the excess energy, it’s fed into the electricity grid for someone else to use. For solar battery owners, this means your battery is full and you’re feeding it back to the grid. Every time you have cheap energy available Reposit can automatically turn on your dishwasher, washing machine or even your pool pump, so you’re not wasting your solar power and making sure you’re getting the best value from your solar and battery setup. To take advantage of this cheap energy you need to have smart home technology such as smart plugs at your home. 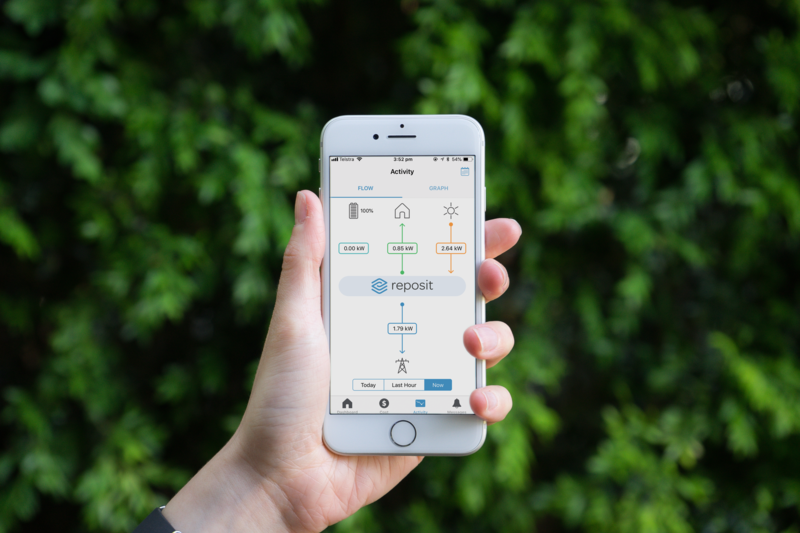 Learn more about how Reposit works with smart home technology. From morning to night, you can see your household’s energy usage (and cost!) in real-time at any time on your computer, tablet or smartphone. Learn more about Reposit’s app. Reposit does all the hard work for you and squeezes extra value from your solar and battery setup. Don’t get nervous next time you're opening your electricity bill. Know exactly how much you’re paying and when. Get in touch with one of our awesome consultants today.